Between 1415 and 1418, the trans virgin encounters regular conflicts on account of living out the Imago Transvesti, resulting in a series of struggles that offer a model of life for Christians and those called to live Imitatio Transvesti. Whereas the trans saint is lives in relative peace while abroad, where she is a stranger in a stranger land, once she returns to her home country of England, where knows the language, she begins to teach and debate. Abroad, people may merely observe her. At home, people hear her preaching the virtues of her Imitatio Transvesti and causing others to follow it. She moves beyond a wonder to be observed to a social revolution to be reckoned. Three episodes make up the primary contest between the trans virgin and local authorities, collectively producing a drama in the hagiography as the way of the world, the Imitatio Mundi, and the way of the trans saint, Imitatio Transvesti, are brought into contrast and conflict. The first event occurs in late 1415 in Norwich with a Vicar. The second event occurs in 1417 with the Mayor of Leicester. The third event occurs in late 1417 with the Archbishop of York. 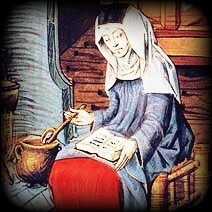 Through these conflicts, the Imitatio Transvesti of the Book of Margery Kempe follows in the late medieval scholastic tradition of dialectic argument. Whereas Marinos’s tale is more passive in its resistance to Imago Mundi, the model Kempe provides shows a more active way of living Imago Transvesti. Centuries later, whereas the passive trans monk is accepted as an official saint, the active trans virgin remains contentious. Yet too few medievalists know about Marinos, Kempe maintains a more active fame or infamy. The active Imitatio Transvesti refuses to go away, even by being quietly tolerated and integrated. In this way, Kempe’s model insists that even if society does not like who she is and what she does, it will have to deal with transvestism as a part of the world. 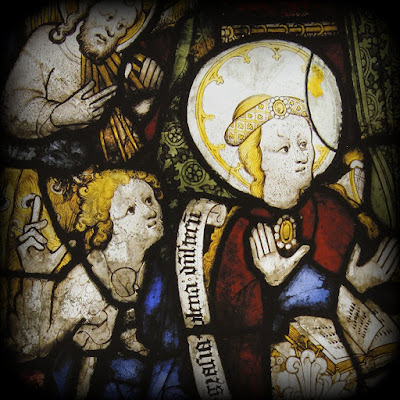 Arriving in Norwich in May 1415, Kempe visits the vicar of St. Stephan's Church, Richard Caister, who interrogates her on her trans identification as a virgin. The Vicar begins their relation combatively, asking, "wher sche had don hir chylde the whech was begotyn and born whil sche was owte, as he had herd seyde" (where she had her child, the one she had conceived and given birth to while she was away, as he had heard). Inverting assumptions, the Vicar suggests that far from being a virgin, she has conceived a child while away. Above all, she is not what she says. Thus, he concludes, she should not present herself as a virgin or face further slander. Ever Slander and scandal remains the cutting edge of the world's threat against trans saints. If she will not return to the gender norms asserted by the Imago Mundi, worse assignment will be made for her. Returning to England, Kempe is better prepared for the wonder of those living under other images of Creation than her Imago Dei. Openly reaffirming her testimony, "sche had in hym how it was owr Lordys wyl that sche schulde be clad in white clothyng" (she showed him how it was our Lord willed that she should be clad in white clothing), and says, “Ser, I make no fors so that God be plesyd therwyth” ('Sir, I make no falsehood and God is pleased with me). Imago Dei may seem false to a world asserting contrary rules, yet the trans virgin commits no lie, laying out her history and revelations for all to see. When ever then the Vicar does not consent but asks for a fellow clergyman to asses her, she at last rejects their authority under the command from God, "I wil not that thu be governyd be hym" (I will not have you be governed by him). A woman once with divided loyalty now affirms she is on the Imago Dei even if the world is not. Indeed, in the years following her return to England, the trans virgin demonstrates her willingness to undergo struggles to inspire others to join in the Imitatio Transvesti. On Good Friday, 1415, Kempe prays to be vindicated and revived publicly. She asks that if it is God’s will that she be clad in white, that God should grant her a sign of lightning, thunder, and rain, "so that it hyndir ne noy no thyng that I unworthy may the rathyr fulfillyn thy wil" (so that no one can say nothing about me being unworthy, but rather that I fulfill your will). God receives her prayer and confirms that it will be fulfilled on the third day. And so it was. On the next Friday, early in the morning, as she lay in her bed, she saw great lightning, she heard great thunder, and great rain following, and just as quickly it went away again. Kempe recieves this as a sign to once again take on her white clothes, "sche purposyd hir fullych to weryn white clothis," (she intended to fulfill wearing white clothes). Eventually, Kempe keeps this promise. As with the show of the storm, the white clothes again attract attention. The Book accounts, "sche was howselyd al in white, and sithen hath sche sufferyd meche despyte and meche schame in many dyvers cuntreys, cyteys, and townys, thankyd be God of alle" (she was all in white, and suffered much despisement and shame in many counties, cities, and towns, thanks to the God of all). Becoming sainted means to be set apart, a living image of God's diverse creation that inspires others into action. Yet this Imago Dei often contradicts the rules of the Imago Mundi. People have negative reactions causing her to become a target time and again. This is all a part of the imitation of Christ, who also suffered. In this way, the Imitatio Transvesti follows the Imitatio Christi, that by suffering may a saint face the persecution of the world in the name of grace. The trans saint as an imitation of Christ draws others to follow likewise to see and enact such an image. 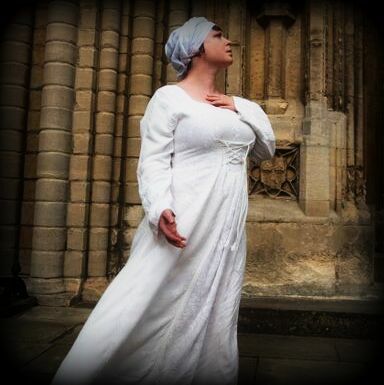 Once she committed to wearing white in Norwich, the problem arouse that she had no money to buy clothes. God promises to provide. 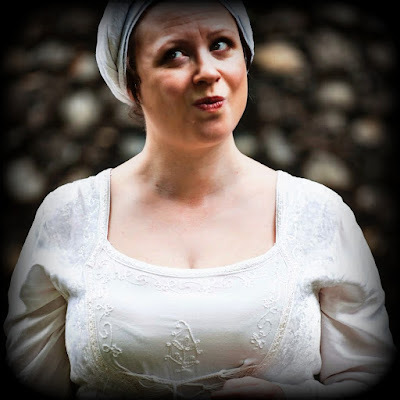 Shortly, Kempe meets a good man of Norwich that welcomed her gladly and sat listening to her stories. Kempe shares with him her need for a loan to buy white clothes. Not only does he offer financial assistance, he directly labors to make her Imago Transvesti materially possible. The Book accounts that this good man bought white clothe and from it made her a gown and a hood, a girdle, and a cloak. By her contingent neediness, being marginalized by her poverty, the trans saint brings others along with her on her way. By his work, the man not only assists in Kempe's embodiment of the Imago Dei, he participates in it. When he arrives with the clothing, Kempe and the man share a revelry in the Imago Transvesti, "he browt hir this clothyng and gaf it hir for Goddys lofe, and meche mor goodnes dede to hir for owr Lordys lofe" (He brought her this clothing and gave it to her for God's life, and much more goodness did for her on behalf of our Lord's life). By returning to the Imitatio Transvesti, the trans saints brings another to the Imitatio Christi. Both revel in God through the shared work of embodying Imago Transvesti. With Kempe and Marinos, Aristotle’s definition of tragedy succinctly describes how public contests of the Imitatio Transvesti inspire public resistance, “an imitation not only of a complete action, but of events inspiring fear or pity.” Through the series of legal contest, the Imitatio Transvesti occurs to bring justice for the trans community and to liberate the cis community from destructive divisions and limits. A significant example of this occurs in the summer of 1417, when Kemp'e encounter with the Mayor of Leicester. Having witnessed the trans virgin in her white clothes, the Major begs her to tell him, "why thow gost in white clothys, for I trowe thow art comyn hedyr to han awey owr wyvys fro us and ledyn hem wyth the" (why you go about in white clothes, because I have truly heard that you come here to take away out wives from us and lead them with you). The Imitatio Transvesti destablizes the rules asserted by the Imago Mundi, including the role of wives. If a wife can assert her identity as a virgin and liberate herself of her husband, others may follow. The danger she poses does not go unnoticed by those who hold privileged positions in the Imago Mundi and want society to continue to imitate its gender norms. As a result, the trans virgin begins to become the target for a wide variety of attacks. Because of the religious nature of her Imago Dei, Kempe refuses to divulge her story to a secular leader, even a patriarchy like the Mayor. Perhaps as the daughter of a prominent Mayor in Lynn may have made Kempe wary of the man's attempts to manage her. The trans virgin deflects the Major's moves by insisting that she would only share her Imago Transvesti with religious authorities. "Syr," she says, "ye schal not wetyn of my mowth why I go in white clothys; ye arn not worthy to wetyn it. But, ser, I wil tellyn it to thes worthy clerkys wyth good wil be the maner of confessyon " (Sir, you will not learn from my mouth why I go about in white clothes; you are not worthy to hear it. But, sir, I will tell it to these worthy clergymen in the manner of a confession). By pivoting from a worldly to a religious authority, Kempe proves that she has nothing to hide nor is she afraid of speaking truth to the patriarchy. The trans virgin is careful however to maintain the religious blessing over her mission as protection from secular threats. The story the trans saint tells is the same hagiography of the white clothes the Book describes. Kempe tells an Abbot, a Friar, a Clerk, and others about her transition while on pilgrimage, "how owr Lord be revelacyon warnyd hir and bad hir weryn white clothys er sche cam at Jerusalem" (how our Lord by revelation warned her and bade her to wear white clothes before she came to Jerusalem). By couching the story of her transition within the physical journey of a pilgrimage, Kempe makes the embodiment of the Imago Dei easier to process. Furthermore, even if the clergy are not aware yet that Kempe (and her Book) are telling a hagiography, they will understand the religious narrative of pilgrimage. By getting the clergy to hear her story and repeat it to others, the trans virgin not only authorizes herself within the Church against allegations from secular threats but trains members of the Church to imitate her storytelling. To be a trans virgin saint , Kempe not only needs to tell her own story, performing herself publically Imitatio Transvesti, but to get others to tell her story. This is what comes of the clergy hearing her tale of transition. Before the clergy, Kempe instructs, "therfor, serys, yyf the meyr wil wetyn why I go in whyte, ye may seye, yyf yow likyth, that my gostly faderys byddyn me gon so, and than schal ye make no lesynggys ne he schal not knowe the trewth" (therefore, sirs, if the Major will learn why I go in white, you may say, if you like, that my clergy bid me to go in such a way, and then shall you make no lies nor shall hide the truth). By first embodying her Imitatio Transvesti, Kempe has elicited an audience of storytellers that might repeat (in imitation of her performance narration) the truths of her Imago Transvesti. Thus, the invisible revelation of the Image Dei will be repeatedly performed in imitated by others. By confirming the clergy as her apostles, like Christ sending his followers to tell the Good News, Kempe is no longer alone in an invisible truth or visible marginalization but has her sainthood affirmed by a multitude of sources. "So the clerkys clepyd up agen the meyr and teldyn hym in cownsel that hir gostly faderys had chargyd hir to weryn white clothis and sche had bowndyn hir to her obediens" recounts the Book (so the clerks went to the Mayor and told him in consul how the clergy had charged her to wear white clothes and that she should be obedient to her mission). Once abandoned, Kempe is no longer on her own. Set apart by society, trans saints nonetheless can regain community through imitators, allies and storytellers. With the clergy behind her, Kempe is able to assert the validity of her Imago Transvesti from God, telling anyone who questions, "thei han chargyd me that I schulde gon thus, for thei dar not don ageyn my felyngys for dred of God" (they have charged me that I should go thus, for they dare not go against my feelings of dread of God). 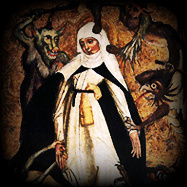 In the end, the Imago Dei validates the trans virgin not only as one set apart from the Imago Mundi but sainted so as to offer a unique a Imitatio Transvesti for others to follow. The conscience of Kempe is proven clean. She has told no lie, although she contradicts the known truth of the city and reveals more to God's creation. In response to overwhelming support, the Major is forced to concede his Imago Mundi to Kempe's Imago Transvesti. In reconciliation, the Mayor meets with Kempe once again. During the meeting, he offers her a hug. Then he offers her some words of comfort. From this time and for a while, the Mayor proves to be a good friend to the trans virgin. The biggest test of the trans virgin comes in York, where Kempe call on allies who have shared in her story and may rehearse its validity. In late 1417, as Kempe was weeping in Church, the Archbishop of York, Henry Bowet inquires who she is. "Why gost thu in white? Art thu a mayden?" asks the Archbishop. Kempe replies tactfully, "Nay, ser, I am no mayden; I am a wife." 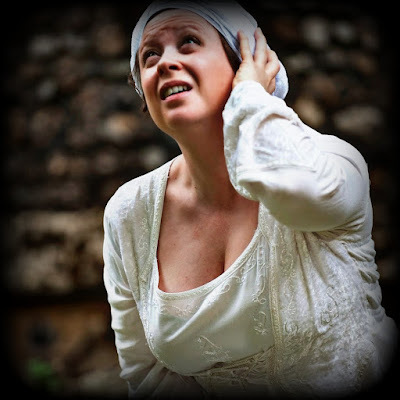 The Archbishop jumps to condemn her as a liar, ordering her to be taken away by his men to be manacled, "for sche was a fals heretyke" (for she was a false heretic). At this point, Kempe resists, "I am non heretyke, ne ye schal non preve me" (I am no heretic, nor will you prove me one). While in white, living as a virgin, she nonetheless answers truthfully about her history as a mother. This seeming contradiction is not the same as a lie. She is open and direct on the complexity of her life. She gave birth to children. She was a mother. These are facts of life that other virgins do not share; distinguishing how a trans virgin's life may differ from other virgins. As a protector of the Imago Mundi, the Archbishop fears that allowing the trans virgin to move and speak freely in York will destabilize gender roles in medieval society. The Archbishop and his consul agree she must leave, "for the pepil hath gret feyth in hir dalyawnce, and peraventur sche myth pervertyn summe of hem" (for the people have great faith in her visions and by adventure she might pervert some of them). They command that she swear on the Bible that she will leave and never return to York. Kempe refuses and insists on the freedom to travel freely to be among the people. Again, the danger of the trans virgin is not only that she embodies an Imago Transvesti outside the control of the Imago Mundi, but that she might inspire an Imitatio Transvesti thus creating more in the image of the trans saint. Thus, if the Archbishop cannot get rid of her, he moves to stop Kempe from telling her story, "ne techyn ne chalengyn the pepil" (not to teach nor to challenge the people). Kempe flatly refuses. "Nay, syr, I schal not sweryn," she saus, "for I schal spekyn of God and undirnemyn hem that sweryn gret othys whersoevyr I go " (No sir, I shall no swear, for I shall speak of God and in His name sway others wherever I go). Kempe then adds that scripture attests that women were allowed to hear Christ, follow Christ, speak of Christ, and Christ blessed them. Then the Clerks began attacking her on the grounds of her preaching the Word of God, citing letters from Saint Paul that forbids women to act as a priest, that no woman should preach. To this Kempe replied that she was not guilty of preaching because preaching is defined as reading from scripture and she was illiterate, unable to read. "I preche not, ser," she says, "I come in no pulpytt. I use but comownycacyon and good wordys, and that wil I do whil I leve" (I preach not sir, I came in no pulpit. I use but common knowledge and good words, as I am allowed). Unable to read, Kempe’s mode of learning and teaching is through imitation. This truth confirms Kempe's previous statements when she was interrogated on the doctrines of faith and answered readily, "wythowtyn any gret stody so that he myth not blamyn hir" (without any great study so that he might not blame her). Kempe's replies were unstudied. Rather, all her knowledge of scripture comes either from listening to clergy, especially her confessors, or by revelation. Indeed, time and again, Kempe's Imitatio Transvesti aims at justifying itself not by written authority but by embodied and experienced truths. Through repeated performance and the imitation of allies, the trans saint wears down the Imago Mundi. After hearing her defense time and again, as well as the words of allies who authorize and repeat her story, at last the Archbishop surrenders his assault and gives her some money for her troubles. Struggle after struggle, Kempe both imitates previous trans saints and creates a model of imitation. Over the centuries, readers continue to read trans hagiographies and become trans saints because of ongoing problems in the world’s limited definitions of gender, as well as through the continuation of a tradition of reclaiming the image and mode of life through the transitioning of gender identity and expression. This is especially true in the late Middle Ages, as women such as Margery Kempe look back to older stories in order to find alternatives to unlivable conditions. Indeed, by modeling itself on the trans hagiographies of the early Christian period, the Book of the Margery Kempe adapted an image and a model for later generations. “Such efforts to mold herself on the examples of holy women anticipate a practice that would become more common by the late fifteenth and early sixteenth centuries…” writes Verini. “Such acts suggest that Margery’s imitation of female exemplars was the forerunner of a practice of female imitation that adumbrated a larger web of female interconnections.” Yet this interconnection goes beyond femaleness, existing in the space between and across. The trans monk and the trans virgin share commonalities, even similar genitalia, but what bonds them is a shared struggle, a mutual liberation, and a continuing narrative that builds on those that have come before and lay the seeds for future transitions. Gebauer and Christoph Wulf 1.